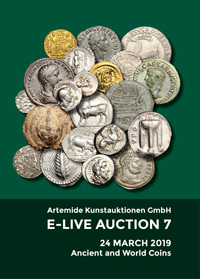 Coins 46 Greek Italy. Southern Lucania, Thurium. 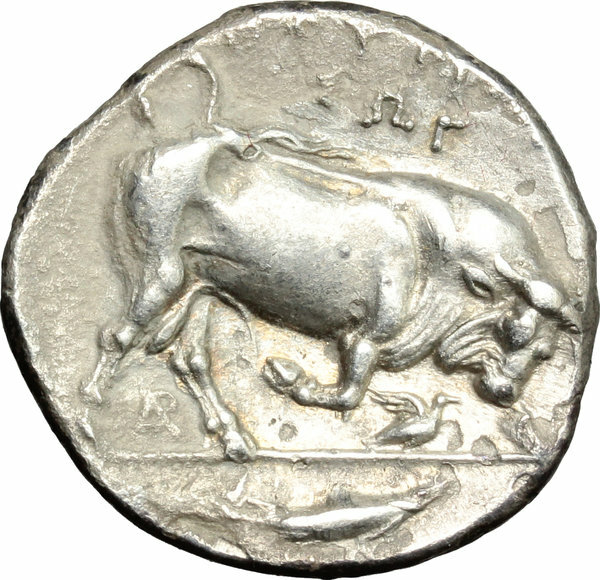 AR Stater, 350-300 BC. 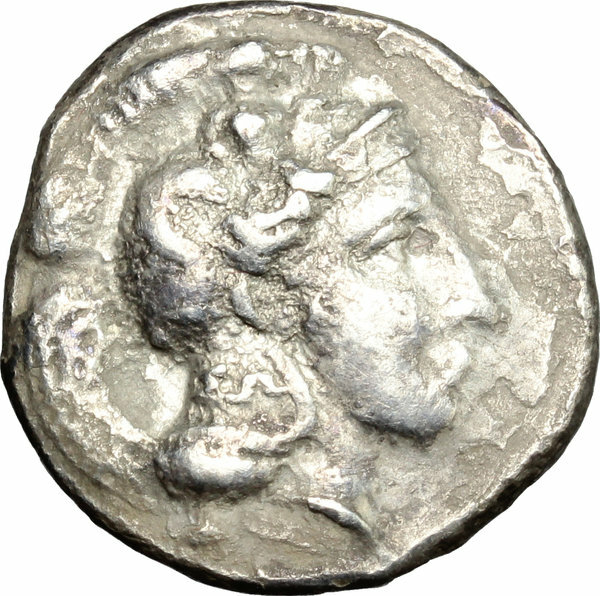 D/ Head of Athena right, wearing Attic helmet decorated with Scylla, ΣΩ on neck-guard. R/ Bull charging right; below, bird and monogram. HN Italy 1820. SNG ANS 1060-61. AR. g. 7.76 mm. 22.00 About VF/Good F.